What principles should govern our relations to the nation-state, to the environment, to other species, to other cultures and to other ways of life? How should we approach marriage, religion, evil and mortality? How should we respond to relativism and nihilism in their current forms? What explains the rise of totalitarianism, and the fatal attraction that it exerts over the educated mind? What is Enlightenment, and what residue has it left in our view of ourselves? Those are some of the questions addressed by Roger Scruton in this scintillating book of philosophical reflections. Well known as a commentator, Roger Scruton makes no concessions to intellectual fashion, and is forthright in expressing what he believes and why he believes it. The result is challenging, but informed throughout by a humane and compassionate outlook. Scruton's targets are shown to deserve his sceptical assault on them, and the vision that he defends, of a society ordered by custom, tradition and national loyalty, is one that will appeal far more widely than to orthodox conservatives. Introduction; Conserving Nations; Conserving Nature; Eating our Friends; Dying Quietly. Meaningful Marriage; Extinguishing the Light; Religion and Enlightenment; The Totalitarian Temptation; Newspeak and Eurospeak; The Nature of Evil; Eliot and Conservatism; Acknowledgements; Name Index; Subject Index. 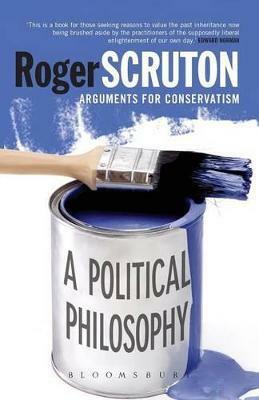 Roger Scruton is a philosopher and writer. Formerly Professor of Aesthetics at Birkbeck College, London and Visiting Professor at Boston College, USA. He now lives as a freelance writer in Wiltshire. He has published The West and the Rest and News from Somewhere with Continuum.